LOL Surprise plastic pendants to decorate with stickers and glitter to create truly unique jewellery! 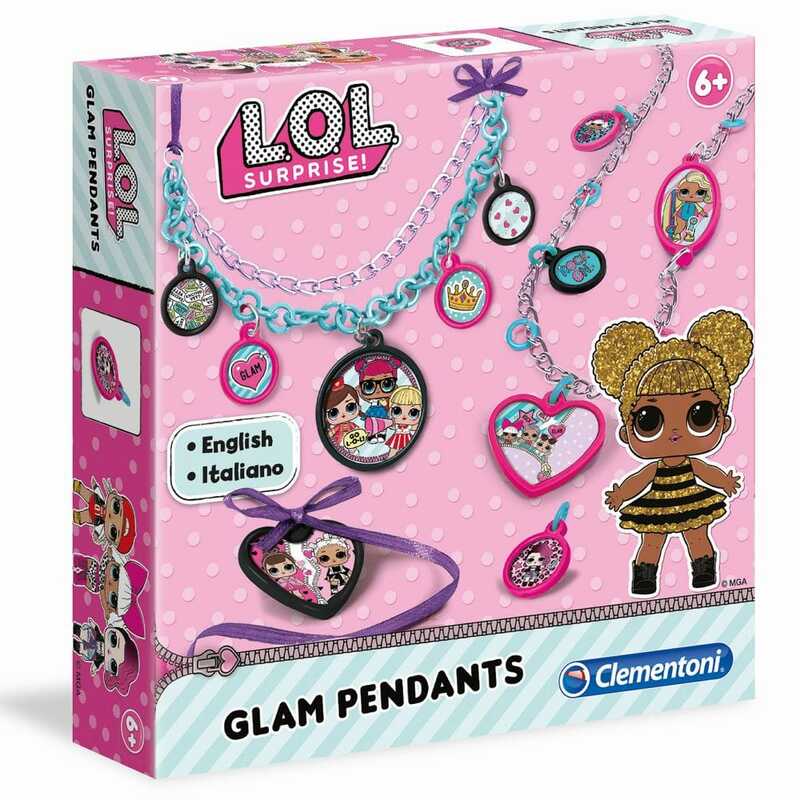 A great fashion accessory from LOL Surprise, create and have fun designing your pendants with stickers and satin ribbon. Perfect for you and your friends. Contents:coloured plastic pendants, stickers, coloured plastic & metal rings, metal chain, satin ribbon and illustrated manual. A bit about the brand: Growing up is a wonderful game!! Clementoni jigsaws are high quality of character and elegant ranges of puzzles, they are made with great attention to the detail.